HCM CITY — The tourism property sector has great potential for growth thanks to the rapid growth in the tourism industry, a forum heard in HCM City last Saturday. 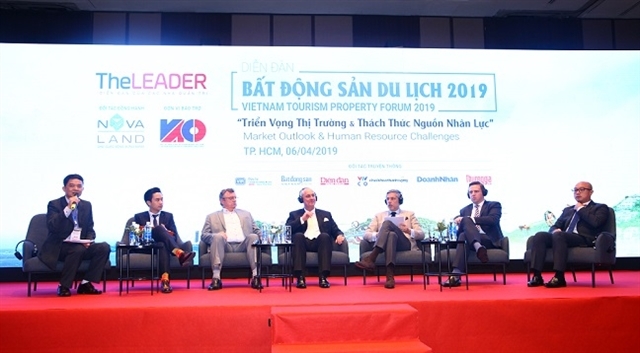 Hà Mạnh Tiến, chairman of the Việt Nam Association of Corporate Directors, told the 2019 Việt Nam Tourism Property Forum that the tourism industry had been growing at 30-40 per cent annually in recent years, among the fastest in the world. Việt Nam received 15.5 million international visitors last year and the number is expected to reach 18 million this year. He said the tourism property market had been exploding and attracting a flood of domestic and international investors. Hà Văn Siêu, vice chairman of the Việt Nam National Administration of Tourism, said the growth in the number of international and domestic tourists had set off a massive wave of investment in resorts, hotels, villas, and tourism apartments in major tourism centres. In 2011 the country had 13,756 accommodations with over 256,000 rooms, and the number increased to 28,000 accommodations with 550,000 rooms last year. Việt Nam is forecast to receive 21 million international visitors by 2020 and 47 million a decade later for average growth of 9-11 per cent per year. “The country needs to have 650,000-700,000 rooms by 2020, 950,000-1.05 million rooms by 2025 and 1.3-1.45 million rooms by 2030,” he said. Kai Marcus Schroter, CEO of Tourism Hospitality Management, hailed the potential of the tourism property sector, but also said there were challenges to be overcome. Việt Nam has a lot of beautiful landscapes, but many tourists do not known about Việt Nam because the country has not promoted itself well, according to the CEO. Tourism property products lack distinctive and unique features. Siêu said tourists preferred experiences, and this required investors to develop such products. For instance, a tourism property project could become a complex and be associated with things like a casino, sports, events, and others, he added. Hotel and resort operators needed to diversify accommodation choices to satisfy the growing needs of customers, he said. The qualifications and skills of staff at many hotels and resorts were low, and enterprises needed to improve the quality of their personnel training and should not rely too much on courses at schools. Delegates at the forum suggested the country should pay more attention to environmental issues while developing tourism property projects because Việt Nam’s tourism industry heavily depends on natural landscapes and elements, and so environmental degradation could make the future grim for these famous destinations. The annual forum is organised by Theleader magazine. An article published by US magazine Forbes named Việt Nam the hottest investment destination in Asia. 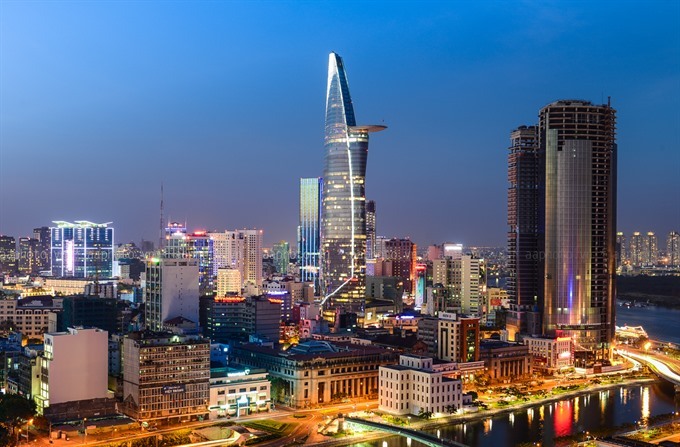 According to the article, Việt Nam attracted US$17 billion in FDI commitments last year, arguably the largest for an emerging market relative to its $250 billion GDP. In the first quarter of 2018, it became the fourth largest Initial Public Offering (IPO) market in the region, surpassing the Republic of Korea (RoK), Singapore and Australia. 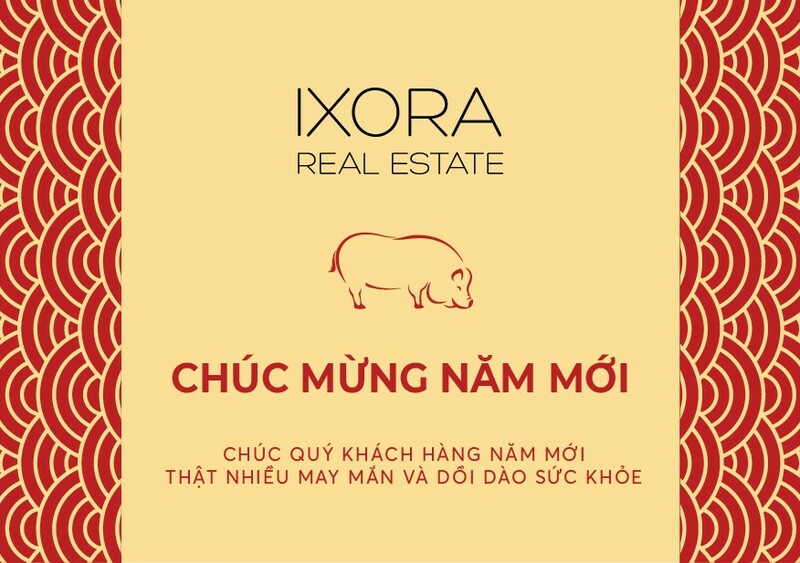 The realty market in HCM City is booming and GDP is growing at about 7 per cent per year. The Comprehensive and Progressive Agreement for Trans Pacific Partnership (CPTPP) and the EU-Việt Nam Free Trade Agreement (EVFTA) are expected to come into force in the coming months, helping Việt Nam further integrate into the global economy. In 2020, the capital Hà Nội will host the Formula 1 Grand Prix. The article said such rapid progress could be due to the fact that the country’s leadership has settled on an economic development vision that focuses on offering highly productive, cost effective labour to manufacture export goods. This tactic has driven record FDI inflows, largely from more mature Asian economies such as Japan, RoK and Taiwan (China), of which more than 90 per cent goes into manufacturing. It said Việt Nam has become integral to the global supply of many goods, from smartphones and electronics to catfish and cashews. The country is also poised to be a major beneficiary of the ongoing US-China trade tensions as foreign companies seek to restructure their supply chains. The article said the Government’s plan to equitise hundreds of State-owned enterprises (SOEs) has been critical to Việt Nam’s growth. The equitisation is attracting a flood of portfolio investments across several sectors, most notably retail and healthcare. According to the writer, investment interest is likely to accelerate following recent legislation drafted by the Ministry of Finance, which stipulates that foreign ownership caps on listed companies – currently set at 49 per cent – will be lifted in 2019. In addition, it mentioned the country’s young, educated entrepreneurial population of 95 million, which is rapidly urbanising and experiencing real spending power for the first time. U.S. travel magazine Travel+Leisure lists the ancient town of Hoi An among the 50 best places to touch down next year. With only two weeks left to go until the year-end, vacation enthusiasts around the world have made travel plans for 2019. The prestigious magazine asked travel experts, reputed writers and hospitality professionals to weigh in with travel experiences around the world and share their opinions on the world’s top trending destinations in 2019. Hoi An in Central Vietnam, 30 kilometers south of Da Nang, has received high marks alongside others such as Cambodia, Singapore, Langkawi in Malaysia and Uttarakhand in India. Travel+Leisure also lists a few options for tourists in Hoi An. Co Mai (Madam Mai) Restaurant is in a 200-year-old merchant’s house and a must-visit place for signature dishes that will help you gain an insight into Hoi An’s spice trade history. At Tadioto Hoi An, owned by artist Nguyen Qui Duc, try some Japanese fare and shots of rare sake and whisky, while the menu at T-Room Gin Bar includes gins infused with native vanilla, cardamom and black pepper. The list also features several European destinations such as Berlin, Cambridge in the U.K., Helsinki and Ischia in Italy. 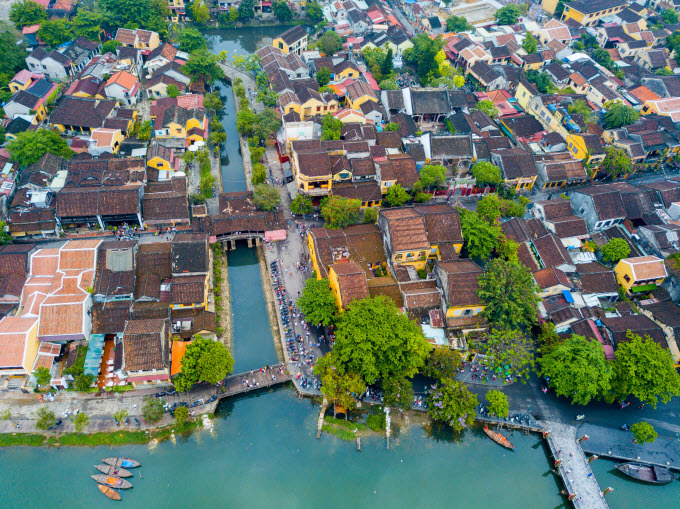 Last year was a good one for Hoi An, with the UNESCO world heritage site garnering accolades from global travel magazines and retaining its popularity on the global tourism map. Travel + Leisure had also included Hoi An in this year’s list of 15 best tourism cities around the world to explore. It was voted as the best choice for budget-conscious foreigners seeking to settle down in Vietnam by Canada’s The Travel website. It said an apartment close to the river in Hoi An would cost just $458 a month and monthly food expenses, $450. Thus, monthly living costs in Hoi An would be managed within $1,000, it said. 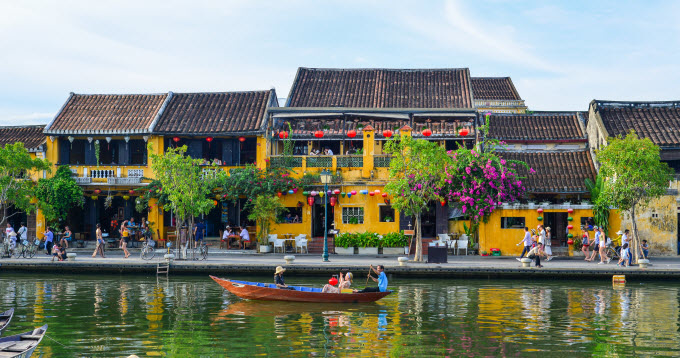 Hoi An ranked second in a list of the 10 safest and most exciting places on this earth for solo travelers compiled by travel editors at Momondo, a U.K.-based travel site. Currently, South Korean and Chinese nationals are taking the lead in foreign visitor arrivals to Da Nang. Between 2013 and 2017, South Korean arrivals rose by 16 times from 55,000 in 2013 to over 900,000 in 2017. Meanwhile, the Chinese and Japanese tourist markets maintained a stable growth during that period. Mr Nguyen Nhu Nam, the General Director of the Viet Nam Travel Mart Joint Stock Company, explained that the reason for the significant increase of South Korea and Chinese arrivals is that over recent years the city has seen an upward trend in the number of so-called zero-dong tours, mostly applied to the Chinese and South Korean tourists. “The growing such tours bring problems rather than benefits for the city as they have resulted in the unfair competitive environment between travel businesses, the low quality of tourism services, the uncontrolled extensive operation of unlicensed foreign tour guides who spread distorted information about the truth of Viet Nam’s history and its culture, and the tax evasion by some shops”, he added. Mr Nam, therefore, highlighted the importance of exploiting the city’s new international tourist markets in order to reduce its dependence on its traditional ones. According to Ms Huynh Thi Huong Lan, Deputy Director of the city’s Tourism Promotion Centre, remarked in addition to visitors from South Korea, China and Japan, Da Nang has welcomed a large number of tourists from the USA, Australia and such European nations as the UK and France. She added India is also a very potential tourist market, but the city has yet to fully tap this market. Hence, the number of Indian visitors has been still modest. In particular, only 4,963 Indian people visited the city between January and August, accounting for only 0.23% of the total international visitor arrivals. Ms Lan explained the reason that there is no non-stop flights connecting Da Nang with India, and local tourism businesses are facing some difficulties in organising tourism promotion activities in the country due to high costs. Also, the city is facing a shortage of new and special tourism products, and tourism support services. In addition, there is a lack of special services for Indian guests, as well as for foreigners in high-end segments. Mr Ngo Quang Vinh, Director of the municipal Tourism Department, said the city targets to welcome 8.9 million visitors by 2020, including 3.6 million foreigners with the annual growth rate of 18.3%. 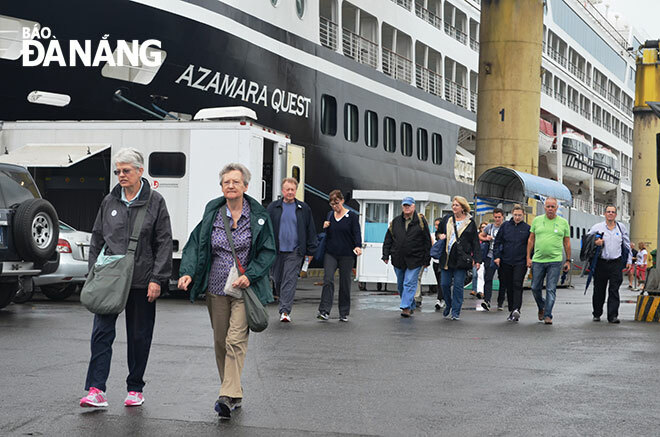 In addition, the city sets a goal for increasing the proportion of potential international tourist markets such as the USA, Australia, India and European countries to 15% by 2021 from 6.57% in 2017. In a bid to exploit visitors from such markets, the local authorities will work with international airlines to open the Da Nang-Melbourne non-stop flights, and with Qatar Airways to organise tourism promotion activities in the Europe and the North America. Heed will be paid to welcoming groups of international farmtrip and international presstrip which want to survey and write articles about the local attractions and its tourism products. Importance will be paid to developing more special tourism products for European visitors, and promoting the development of MICE (Meetings, Incentives, Conferences and Exhibitions) tourism. 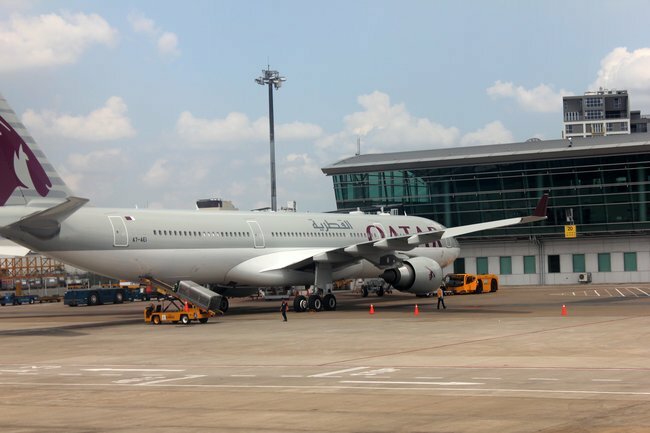 DANANG – Qatar Airways has announced plans to launch direct flights to Danang, starting December 19. The central coast city will be the third Vietnamese destination on the Doha-based airline’s rapidly expanding global network, preceded by HCMC and Hanoi. The carrier will operate four weekly flights from Qatar to Danang using Boeing 787-8 jetliners with 22 seats in Business Class and 232 seats in Economy Class. Commenting on the launch, Akbar Al Baker, Qatar Airways group chief executive, said the new direct route demonstrates the carrier’s commitment to expanding its presence in the Far East, which is a crucial market for the airline. Its existing services to HCMC and Hanoi have recorded notable growth. Thousands of passengers experience seamless connectivity between flights every day through the modern Doha Hub at Hamad International Airport, Baker added. 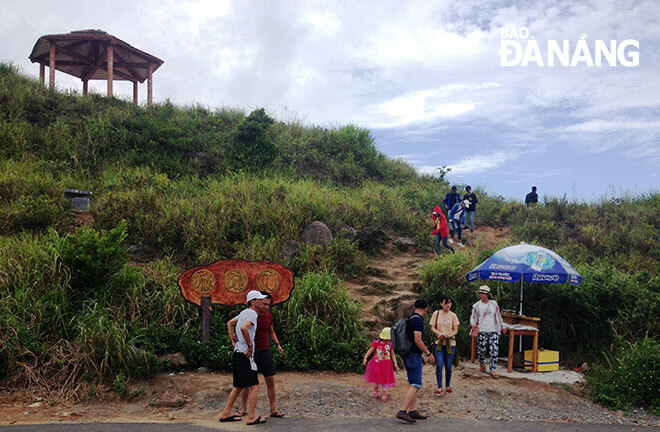 He expected passengers to enjoy the breathtaking coastal scenery of Danang during their trip. Ngo Quang Vinh, director of Danang City’s Tourism Department, remarked that the city welcomes the presence of the Middle Eastern carrier, which plays a vital role in connecting Danang with global destinations. The city expects to attract more visitors in the coming period and promises to make efforts to convert Danang into an outstanding tourist destination on the global tourism map. Qatar Airways started direct services to HCMC in 2007 and expanded its operations to Hanoi three years later. It operates two daily direct flights to the capital city of Vietnam and 10 weekly flights to HCMC. In October last year, the airline announced its interline partnership with local budget carrier Vietjet Air, enabling Qatar Airways’ passengers to use a single reservation code to travel to cities in Vietnam not served directly by Qatar Airways. The newly launched route linking Danang with Qatar follows the airline’s new service to Gothenburg in Sweden. The carrier plans to launch air services to a host of other destinations throughout this year, including Gothenburg in Sweden, Tallinn in Estonia and Valletta in Malta.